Yesterday morning 507 electric vehicle drivers set a new world record creating the biggest parade of all-electric vehicles in history. My husband’s 2012 Nissan Leaf was among those record-setters, and we spent a fantastic day there in Cupertino, California with a group of nice, like-minded people who are leading the way in gas-free driving. 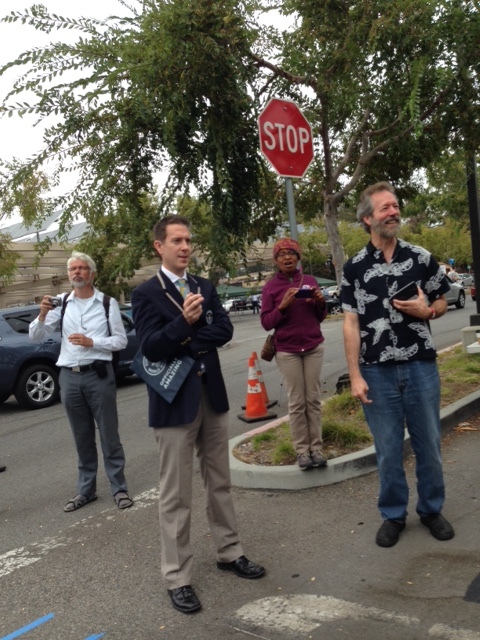 Among the participants, were some of the true pioneers of the electric vehicle driving. They were there more than a decade ago when electric cars were being taken off the market and crushed for junk. The event was a reminder of how far we have come, and congratulations to SAP, Electric Auto Association of Silicon Valley, San Francisco Bay Area LEAFS, the major sponsors of the 42nd Annual Silicon Valley Electric Vehcile Rally. Besides a long line of Leaf vehicles, there were drivers of the Tesla, Chevy Spark, the Think, the Smart fortwo Electric , Toyota Rav 4, Honda Fit, and more. By all accounts, it was well-worth rising at 6 a.m. on a Saturday morning to be part of this touchstone event. Electric vehicles of every flavor joined Saturday’s record-setting parade. We were told that the sponsors had made arrangements in advance to have the charging stations available for use throughout the event. We had driven from Half Moon Bay, and in our rush to get to the event, probably drove a little too fast, sucking down our battery charge. We had only 22 miles of charge left on our battery, about half of what we needed to make it the 44 miles home. We not only needed more juice to make it home, we had wanted to stop at the Apple store in Palo Alto on the way home to get my iPhone fixed (this is relevant, keep reading). 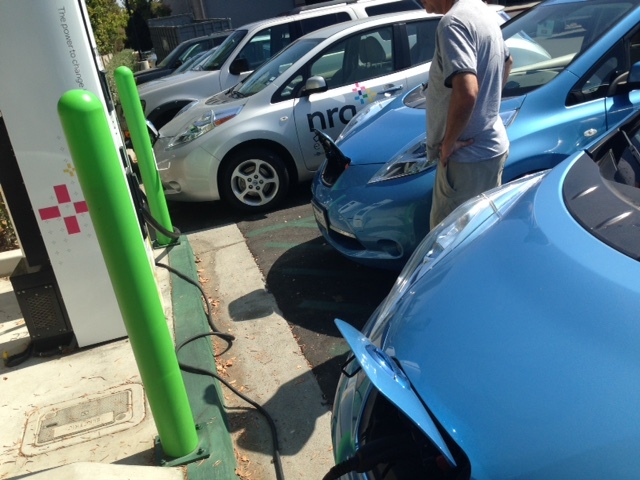 Past experience had shown us that the EV charging stations in Palo Alto are frequently occupied, something that was referred to from the podium after the parade. A city official from Palo Alto told the crowd that the city passed new rules that will require all new construction in Palo Alto to include various levels of accommodations for EV charging stations. This is a forward-looking move in a city which naturally attracts people who are pushing the envelope in technology and innovation. Not to mention, that it will make our visits there easier. Regardless, we needed a charge, and we were not worried because when we looked over we saw several charging stations available. But when my husband drove his Leaf over to one of the DeAnza College charging stations, he was told most were no longer working. A call to the service people for these stations was of little use because they are unavailable on the weekends. A helpful fellow EV driver had jury-rigged a charging station, and my husband hooked up. However, this was a level 1 station, the equivalent of plugging into a household outlet, and the hour of charging made little difference in our range. In the end, we drove to the nearby Whole Foods where there is NRG eVgo DC Level 3 fast charger, and two Level 2 chargers. A fast charge would get us in and out of there in less than 30 minutes. But, many other parade participants had the same idea. All three chargers were occupied and other EV drivers were queued up before us. Everyone was more than nice as my husband negotiated his place in line with the others. The EV drivers included a man who was already late for picking up his wife, a young woman who promised she would need only a “couple minutes” of charging, another who gave up his place in the fast charging line to use the slower Level 2 charger so that someone else could get a quick charge. 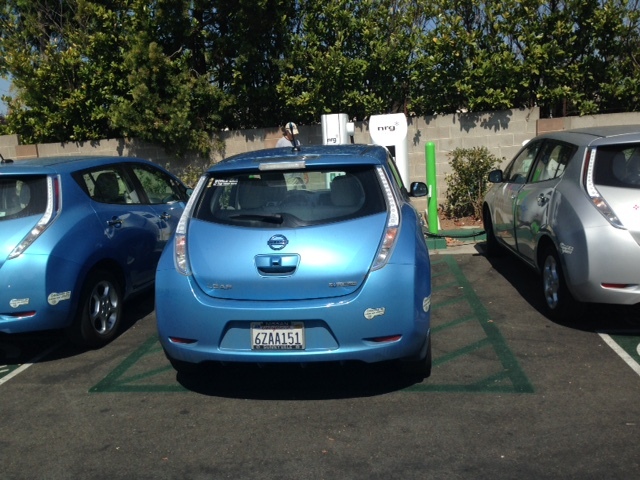 We had plenty of company when we tried to charge at Whole Foods after leaving the event because the EV chargers at the rally were not functioning. For us, the entire process took a little over two hours. Awaiting a charge. We spent two hours charging in the Whole Foods parking lot after the event. We made the best of it, but I fear most car drivers still do not have the patience for this. We munched on pizza slices from Whole Foods as we waited in the hot parking lot, and finally, when it was clear that we would be there quite a while. I went in the store and did our entire week’s of grocery shopping. (Businesses, are you listening? We will spend money in your establishment if you provide charging stations. In some cases, you literally have a captive audience). Earlier in the day, one of the speakers at the rally and parade called us the “new normal” and the vast crowd of EV drivers, including myself, roared with applause. With the sales of EVs increasing, and the variety of brands, prices, and options broadening, we are on a good course, and certainly some group, somewhere will soon break the monumental record we set as our quiet automobiles and motorcycles navigated the two-mile course and the Guinness Book of World Records official dutifully counted each one, disqualifying any hybrid, pedal-powered or gas-fueled rogue that may have tried to pass for those who know what it’s like to drive a vehicle without emissions and without the cushion of gasoline or diesel. 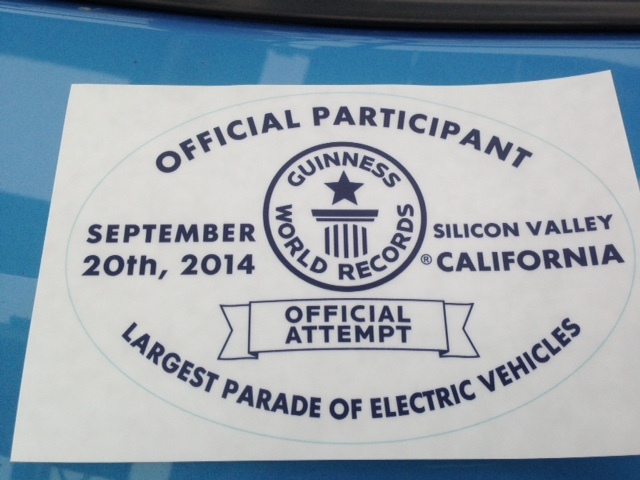 A Guinness Book of World Records official counts each passing EV, weeding out any vehicle that was not all-electric. But, still, my husband and those like him, who negotiate and socialize at charging stations, scribble notes and put them on the windsheilds of the ignorant drivers who arrogantly park their gas-fueled cars at charging stations, and spend time in between work assignments phoning in malfunctioning charging stations, are not yet the average American driver. It still takes a special breed of folks to put up with the incoveniences and uncertainty (and, yes excitment) that accompanies EV ownership. 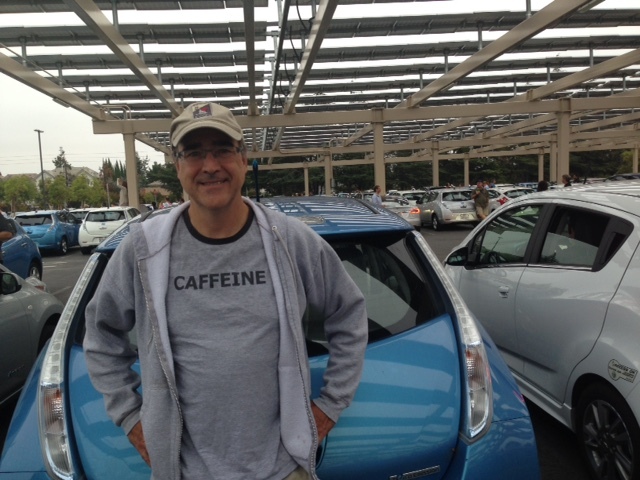 My husband and his Nissan Leaf await their cameo in electric vehicle history. Later in the day, in the crowded Apple store, an employee typed in the serial number of my iphone 5 , and told me yes, my phone qualifies for the battery-replacement program that may prevent my phone from crashing every few minutes, And, I thought about how long it takes to perfect such innovative products that push the boundaries of what we know. I cannot even recall the days when my mobile phone was an optional device for getting me through the day, and while battery problems are annoying, they are not enough for me to go back to the days of landlines, or even, to switch to another operating system. I look forward to that day when electric vehicles will be as indispensible to so many people, like the crowds queuing up at the Apple store Saturday for the next big thing. That is when all-electric driving will truly be the new normal. I understand about charging predicaments. Sadly, our 5 hour round-trip to Chicago from here in Rockford, IL turned into a NINETEEN hour trip when we found that ALL THREE Quickchargers we were counting on were out of service. Our I-Miev’s range just was not quite enough to make this NOT a problem! Additionally, we found 3 Level 2 Chargepoint chargers with broken connectors, and one that we couldn’t even get the connector out of the charger socket! Yikes! It just depends…Our trips to Madison, WI are always easy because they actually regularly service their parking infrastructure THERE!. I don’t quarrel with any part of your report, which I enjoyed and was informed by. It occurs to me, though, that when one gathers 507 EV cars, there may be unusual demand for chargers. We will get there, where even all the EVs in the neighborhood can klatch and juice together, but this could almost be predicted, no? 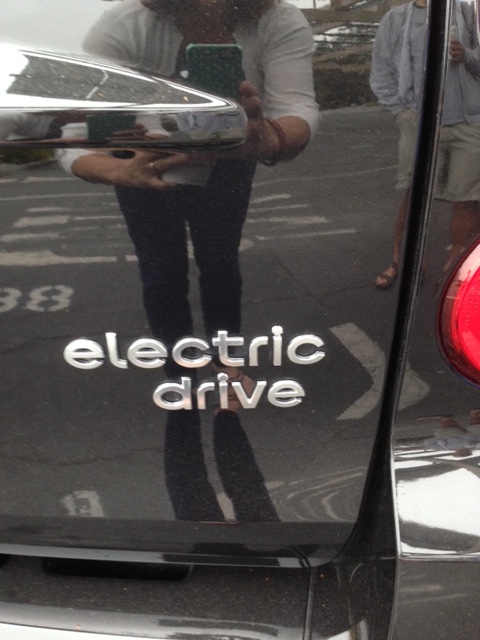 Just found your blog… I’m contemplating a drive to Half Moon Bay with my Leaf from Cupertino. Are there places to fast charge there? Any suggestions? I would love tips! Thank you! Background: We got our Leaf last April and I have only driven it in “regular daily life” (RDL). My RDL driving is 50-60 miles or less each day, so I love my Leaf for that and it works great. Welcome JK and Congratulations! Charging options are limited on the Coastside. The city of Half Moon Bay plans to install a charger downtown next month but not a fast charger. Also, check with the Ritz Carlton, it has a charger but I do not know if it is for guests only. If we are home you could hook up to ours as a last resort. Good luck on your adventure!